This episode, Angela hosts a candid conversation with gubernatorial candidates Andrew Gillum (FL), Stacey Abrams (GA, and Ben Jealous (MD) during the CBC Foundation’s Annual Legislative Conference. Episode 20 live from Sundance Film Festival in the season premiere, Angela has a candid conversation with industry heavyweights on the #metoo and #timesup movements. They also delve into the importance of Black women storytellers. For Episode 19, Angela Rye and Bakari Sellers co-host a joint podcast and have a no holds barred conversation about what’s wrong with the Democratic Party, their respective upbringings, and tax shade (aka the Tax Reform Bill). You will not want to miss the final podcast of 2017! 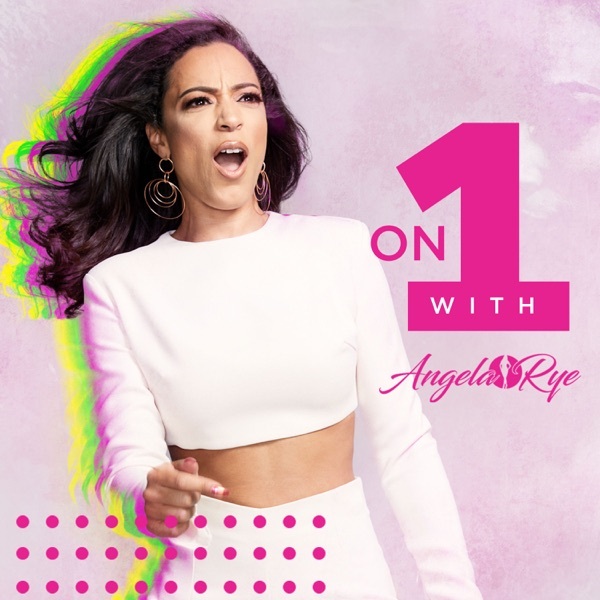 In this very special episode 18 of On 1, Angela and her sister friend, brilliant communications strategist, Kristi Henderson present us with all of the hypocrisy, contradictions, and challenges that exist in today’s conversation about sexual harassment—being fully Black and fully woman. Episode 17 includes a candid discussion about the ratchet hypocrisy that is the Republican Party and learn why Angela is SO glad Joy picked up the phone the morning after Trump won the election. This episode is dedicated to La David Johnson the slain US Soldier who was killed on October 4, 2017 in Niger. We lift up Rep. Frederica Wilson for being dedicated to uncovering the truth. The Conversate segment features a shade-filled laugh session with Don Lemon where we ask him how it feels to be invited back to the community BBQ and how he overcame being attacked online by Orangey. recorded from a symposium on Rev's contributions to the civil rights movement over the last 50 years, this podcast explores Rev's advice for young activists, the next steps for the NFL Boycott, and what he really thought about Jay-Z talking about his dad selfies. Episode 13 features a lively conversation with comedian Lil Rel who was ALL OF US in Get Out. We talk about Chicago, what he's doing next, and obvi--politics. Bossip comes through with some of the best headlines of 2017! Every year, Rep. Maxine Waters hosts the Young, Gifted, and Black braintrust during the CBCF Annual Legislative Conference, which focuses on the major impact of hip hop on the culture. We are bringing this lively discussion to you! Angela hosts her first ever live podcast and has a great, candid conversation with Senator Cory Booker about issues he cares most about, guilty pleasures, 2020, and loving Donald Trump. This is REQUIRED listening! Episode 10 features a LIVE, unfiltered conversation with Angela, Gabrielle Union, and Lisa Ling moderated by Danya Bacchus from the nation's largest HBCU--North Carolina A&T where the ladies participated in a Chancellor's Town Hall entitled "Women's Issues" on September 12, 2017. Episode 9 is dedicated to the #defendDACA movement as we stand in solidarity with our Dreamer brothers and sisters. Learn how to work WOKE! On episode 8 we have a frank conversation with Wes about what REALLY happened in Charlottesville and how we can move the culture forward in cities all over America. On Episode 7, Common talks about his Emmy nomination and gives a call to action on criminal justice reform with Founder of the Anti-Recidivism Coalition, Scott Budnick. We also talk #imwithKap and boycotting the NFL. on episode 6, Angela uses this special edition of the podcast to explore the history of race relations in America and how we move forward in the era of Trump. Straight from the 206, episode 5 features the highly anticipated start to an intergenerational dialogue with Angela and her Dad on everything from Colin Kaepernick and activism to policy issues we should care about to the major keys in raising kids. Papa Rye will be a regular on the podcast. Angela conversates with Women's March Co-Chairs Tamika Mallory, Carmen Perez, and Linda Sarsour. Topics also include Pink Sammy Sosa, The Trumpcare Debacle, and Impeachment or...nah? Episode 1: Queen Maxine Angela sits down with Congresswoman Maxine Waters to talk about the resistance and why Tupac is her favorite rapper.